As the controversies pile up, the president and CEO of the 4As reveals the findings of a year-long effort to learn more about the plight of women in adland. Last week, we were once again reminded that, despite strong momentum and frequent discussions about gender equality in advertising, there is much more work to be done. Work that someday soon, hopefully, would mean a senior executive in a position of power wouldn’t think of publicly refuting, and frankly ridiculing, what many of us hold to be true: The ad industry is not an equal workplace for men and women. It’s not hard to believe when you look at the facts. In 2012, before the 3% Conference was created, women controlled 80% of consumer spending, yet only 3% of creative directors were female (this has since risen, but we are far from equal here). To top that off, there’s a lack of female role models and mentors throughout the industry; in 2016, 70% of young female creatives said they had never worked with a female creative director or executive creative director. What is hard to believe is that, despite these famous statistics, we hear a comment so out of touch with reality that it confirms what many of us fear: There are industry leaders out there who brush off gender and diversity issues; too many C-suite execs believe this issue is an isolated problem, one that doesn’t exist in "my house" or, remarkably, one that doesn’t exist at all. So here are a few new stats from a recent survey the 4As conducted, if anyone else still needs convincing. When asked to what extent they feel potentially vulnerable to discrimination at work in the advertising industry, more than half of the respondents said their gender made them feel either somewhat vulnerable (39%) or very vulnerable (15%), higher than any other attribute in the survey. Almost two-thirds of respondents either agree somewhat (40%) or agree totally (19%) that there were times when they personally experienced discrimination without recognizing it — only now do they see it was discrimination. We recently fielded this study as part of a yearlong initiative to learn more about women and diverse professionals’ experience in advertising. Other initiatives include the launch of the "See It and Be It" feature on our website, the Glass Ladder Series with Cindy Gallop, events and salons discussing female and diverse talent in the industry — such as the one we hosted in Cannes with IPA — and additional data to be released during Advertising Week about how women are portrayed in advertising and the impact it has on our society. As I mentioned at this year’s Transformation conference, we must start at the top, with each CEO appointing himself or herself the chief diversity officer. Until there’s better representation of gender, ethnicity, and sexual orientation in an organization’s upper echelon, awareness and change are going to be harder to come by. Take a cue from Kate Stanners at Saatchi & Saatchi, and encourage young women to pursue leadership positions. Follow the example of several IPG agencies and begin unconscious bias training, and perhaps implement a blind resume practice to eliminate any gender or ethnicity identifiers from resumes; this will help level set our hiring practices. Following outcries and public shaming, Publicis moved swiftly, which is great. But there have been several discriminatory incidents in the industry in the past six months alone, and it’s time for us to do better. Discrimination in any form is not okay. And I urge any employees, female, diverse, or otherwise, to raise a flag if they see or hear discrimination like this. It is never acceptable, and it must change if we want to change the face of our industry going forward. 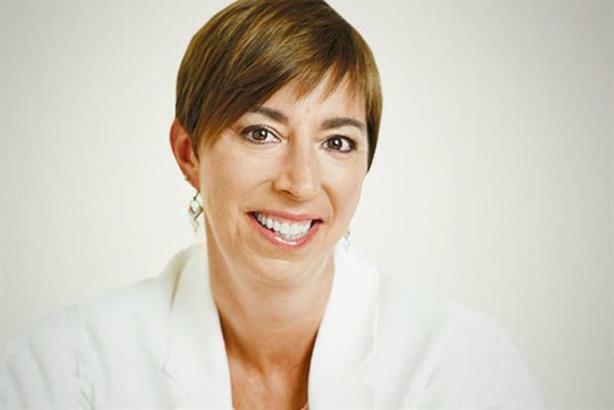 Nancy Hill is the president and Chief Executive Officer of the 4As.